Following the Supreme Court’s ruling on 26th July 2017, the employment tribunal fee regime, which was in place since 2013, is now rendered unlawful. 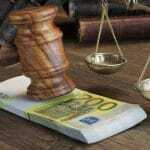 Therefore, there is no employment tribunal fees to be paid for any new claims. Also, the fees paid in the past are now to be refunded. Together with Her Majesty’s Courts and Tribunals Service, the Ministry of Justice have now set out the details of the scheme that will refund claimants and respondents who had paid a fee at the Employment Appeal Tribunal or an Employment Tribunal between 29 July 2013 and 26 July 2017. In these circumstances, you will have to provide a copy of the relevant Tribunal Order along with any evidence (for example, receipt, a copy of payment slip, or bank statement ) when submitting your application for refund. If you have had paid the fees for more than one Employment tribunal claim, you must provide details of all of the cases. You can apply by filling up the Form 2-R for respondents and returning it by email or post to HMCTS. There are different forms for the representatives/sponsors of a party to a claim, for the claimant in Employment Tribunal proceedings (Form 1-C) and the lead claimant in multiple claims (Form 3-S). These forms are available online and together they make it clear that all payments can only be made into the legitimate accounts of actual parties to Employment Tribunal proceedings. 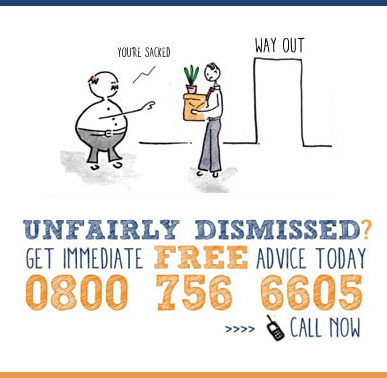 Therefore, no employment solicitors can make claims to recover the fees on the behalf of their clients. Overall, these forms are relatively simple and in most cases, it should not take more than 10 minutes to fill them out. If you reimbursed a claimant (being the employer) as part of a COT3 or a settlement agreement, then you are not eligible to receive a refund under the scheme. This is because the Form 2-R sets out that it is only applicable to employers who have reimbursed their claimants, in accordance with a Tribunal Order. According to the estimates of the UK Government, the total cost of refunding fees (including interest) will be about £33 million. The Supreme Court ruling also specifies that claimants, whose claims were earlier dismissed for non-payment of Tribunal fees, may also seek to reinstate their claim. Here, it is important to see whether an Employment Tribunal will allow claimants for late submission of their claim (since there is a 3-month time limit to submit an Employment Tribunal claim). It has been suggested here that any individual who was previously deterred from making a claim because of the fees but wishes to pursue it must make a claim without any further delay.